Liebherr American style fridge freezers are supplied at the best price in the UK from Fridgepromotor. 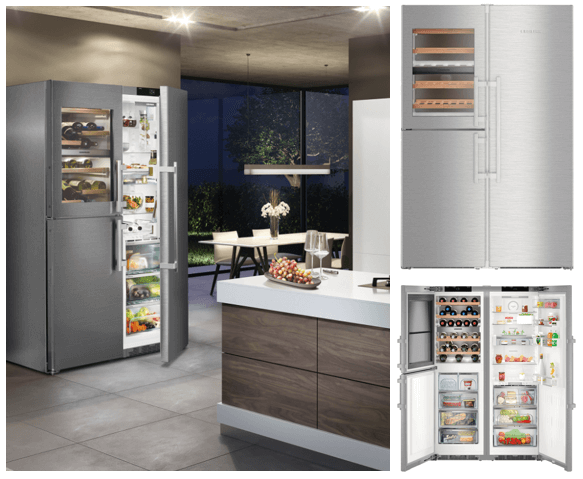 Liebherr's range of American style refrigeration consist of two separate units that connect together which makes delivery and installation much easier.The models with a water connection do not incorporate a drink dispenser but do have a built in ice maker. This style allows a bigger storage capacity as space is not lost by the large water dispensers. The Liebherr American style fridge freezers are far more energy efficient with some models boasting a A+++ rating.